I was transfixed this Sunday, along with millions of others, as I watched Tiger Woods win the Masters at Augusta National. It was a experience to watch this 43 year old athlete compete at a level that no one believed he could, after a series of personal and professional failures of huge magnitudes, and physical setbacks. It was April 13, 1997 when the world heard of a 21 year old Tiger Woods. The game of golf was changed forever. November 25, 2009 however brought Tigers career and life to a screeching halt in many ways. That was the day The National Enquirer published a story of Tiger's indiscretions with a cocktail waitress. What followed was the unfolding of a cascade of embarrassing disclosures of his transgressions with many women outside of his marriage. It was years of scandal, the break up of his marriage and many untold stories of pain and suffering of all parties involved. No one plans to light their world on fire like that. Least of all an athlete of the caliber of Tiger Woods, someone who had endorsements worth millions of dollars with major international brands and a wholesome family man image. 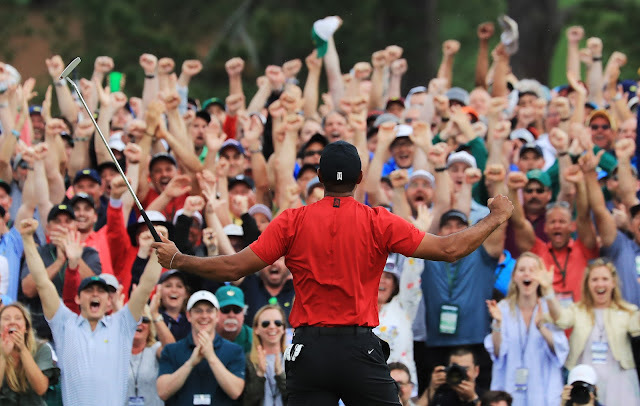 The complexity of human nature is not easily decoded by someone who is not privy to inside details so I will not even begin to offer any understanding to what Tiger's mind frame was to have behaved the way that he did. But what I do want to say is that what followed the scandal was years of emotional, physical and professional breakdown. 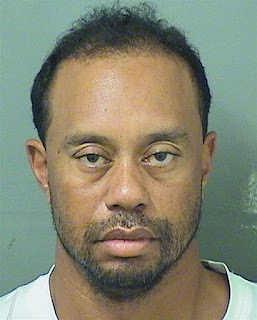 Things were so wrong that on May 29, 2017 Tiger was arrested for driving under the influence. How does one go from that to this? April 14, 2019 was the sight of Spring miracle of redemption. But was it? I suspect that Tiger's win last Sunday was no such thing. It was most likely years of hard work, deep introspection and reflection and a spirit that was unwilling to call it a day. I have no doubt that many a times it must have seemed impossible to achieve this feat to even Tiger himself. But the result last week shows a belief deep down in him that said otherwise. The question begs to be asked Which win is more significant? 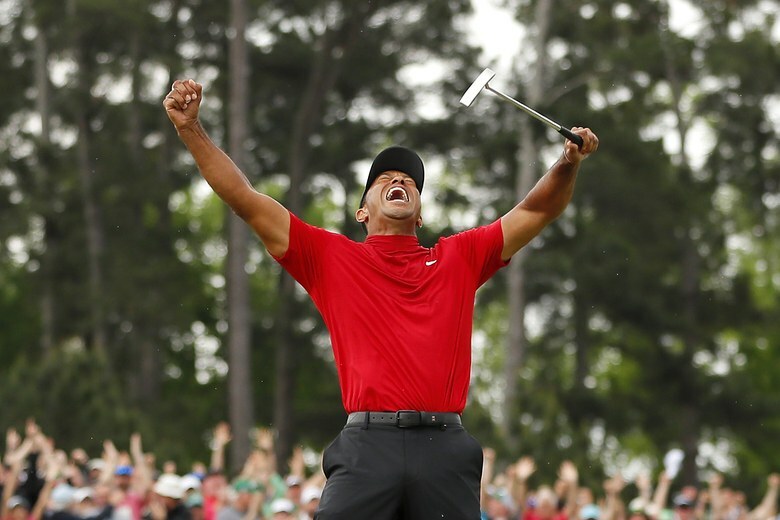 Tiger in 1997, winning the Masters as a supremely talented 21 year old, bi-racial young man or Tiger, the older, hopefully wiser and healthier 43 year old? Now a father of 2 young kids and still a supremely talented golfer. You make your own decision on that. What I leave you with are these questions. Do you think you have it in you to fight your way back from absolute rock bottom? Do you think you are worth it? Do you believe that you deserve a second chance? Do you love yourself enough and have the self compassion to forgive yourself for your failings? And most importantly, are you going to let your life's harshest injury define you or are you going to get up and fight to not only get back in the game, but WIN THE GAME? Wishing you a Happy Spring, Baisakhi, Easter, Passover and anything else you may celebrate at this time of opportunity for renewal and redemption! 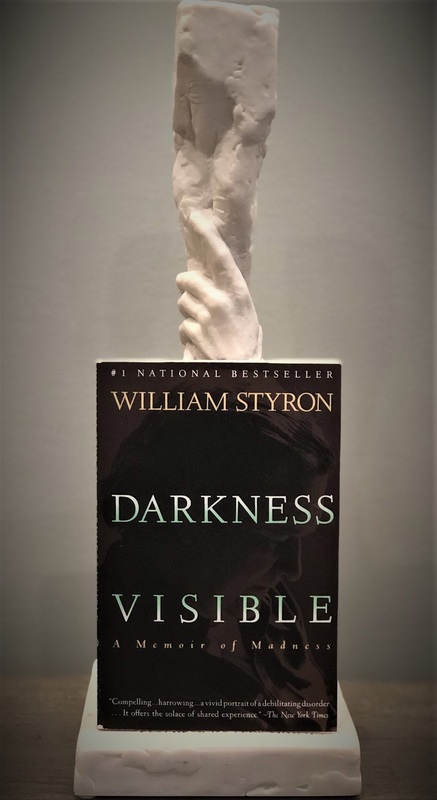 William Styron Paints One of the Most Vivid Pictures of the Dark World of Depression. William Styron is well known for his body of work, many literary awards, and commercial success with his books. Notable amongst them are Lie Down in Darkness, The Confessions Of Nat Turner, (which won a Pulitzer Prize) and Sophie's Choice, (which was made into a superb movie starring Meryl Streep, Kevin Kline and Peter MacNicol.) However, it is in Darkness Invisible that he gives us a special gift of incredible value. William Styron describes his descent into 'madness' by vividly painting a picture of how depression wrestles with a human being and pins him down. 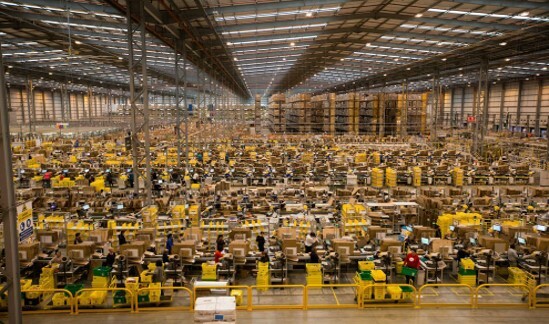 There is no getting up from under this million pound gorilla. Styron is effective in conveying the helplessness one experiences when depression engulfs one. There is no 'thinking out' of this illness. It is a disease just like any other physical illness that has visible symptoms and signs. Imagine telling an automobile accident victim to put back their severed leg on their body by thinking 'hard enough and positively enough'. Styron laments towards the end of the book that he should have been hospitalized for his depression long before he actively started to consider suicide as his only way out. As he quietly prepares to kill himself, it is only after hearing a soaring passage from the Johannes Brahms Alto Rhapsody that he feels a connection to his world. The music gives him pleasure which reminds him of the deep love that he has for his family. This momentary withdrawal from the numbness of depression allows him to discover that he could never inflict on them the pain that his suicide would. He immediately wakes his wife Rose up and makes arrangements to be hospitalized for depression. He remains in the hospital from December 1985 through February 1986. 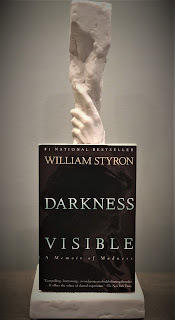 Darkness Visible : A Memoir of Madness' was first presented as a lecture by Styron. The best selling book was released in 1990. Before I accepted that I had off and on for years suffered from depression, I was not willing to even entertain that possibility. It wasn't that I was in denial. It was just that I believed that everyone went through 'bad patches' and it was part and parcel of the landscape of being human. 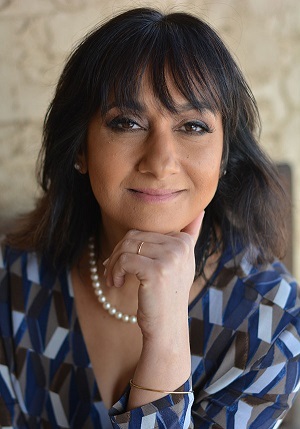 A lack of awareness of the importance of mental health and a total buy in of the stigma associated with any kind of mental illness was a hallmark of my family culture. In all fairness, this was not very unusual in the times that I grew up in, nor in the cultural context of my upbringing. Even while in treatment, I would beat myself up for not being able to 'think my way' out of the darkness. I thought that it was my fault that I was not getting better because I was not 'trying hard enough'. I would repeatedly tell myself that I needed to be more 'positive' to get better. With this, now what I recognize as deeply flawed thinking, based on society's uneducated and ignorant projections about depression, anxiety and mental illness, I tortured myself endlessly. I manufactured feelings of shame, failure, hopelessness and worthlessness. And this misery was on top of what depression, toxic stress and ACE's were doing to me. I now understand what trauma does to a brain. Especially a young infant or child's brain. It is complex and very complicated but this damage is now well understood by researchers and clinicians. So the success rate of treatment of such trauma is steadily increasing. Depression has many forms and causes but a very big component of etiological factors resulting in depression is childhood trauma. Depression is a real disease. It must be recognized by healthcare professionals. It must be respected as a tenacious and clever invader of our minds and bodies. Even though it usually has a complex origin, it's source must be determined and diagnosed as best possible. And finally, it must be treated. Once the severe phase is over, depression requires us to be vigilant about it's return and recurrence. It demands a lifestyle change to stay ahead of it and not be ambushed by it when it returns. A life entirely free of depression may not be possible for everyone who suffers from this illness, but a diagnosis does not mean a life sentence of misery, a joyless existence or thoughts or the actual step of committing suicide as the only means to find relief. Depression is a treatable disease. In many cases, permanently. In some cases, it can be well managed with medications and talk therapy. But the first step is recognizing that you are depressed and then seeking help. 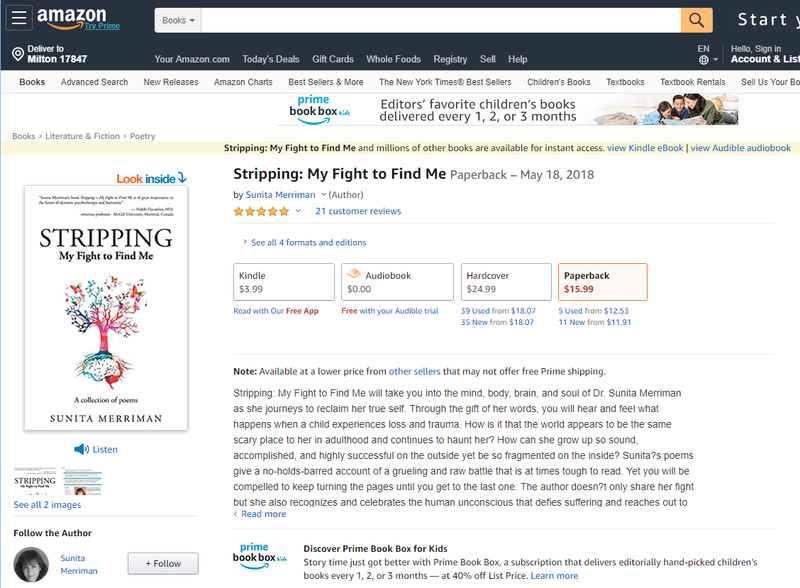 I share with you my poem 'Arousal' from my book Stripping : My Fight to Find Me It is #17 in the collection of poems. No need to wake up from this deep sleep. Of this avalanche that I was hiding. Incidentally, William Stynor lost his mother at the young age of 12 and considering those times, most likely did not get the emotional support and assistance a young child needs to grieve and heal in a healthy way. He hit the wall at age 60 before suffering from Major Depression. In hindsight, he picked up on his predisposition to mood swings and depression earlier in life and also realized that his family's emotional history was marked by this predisposition as well. I challenge you to be honest with yourself. Are you just surviving or thriving? Do you need to look at your family's emotional history and your life thus far. You deserve to THRIVE! Not just survive. Wishing you a week of honest discovery!